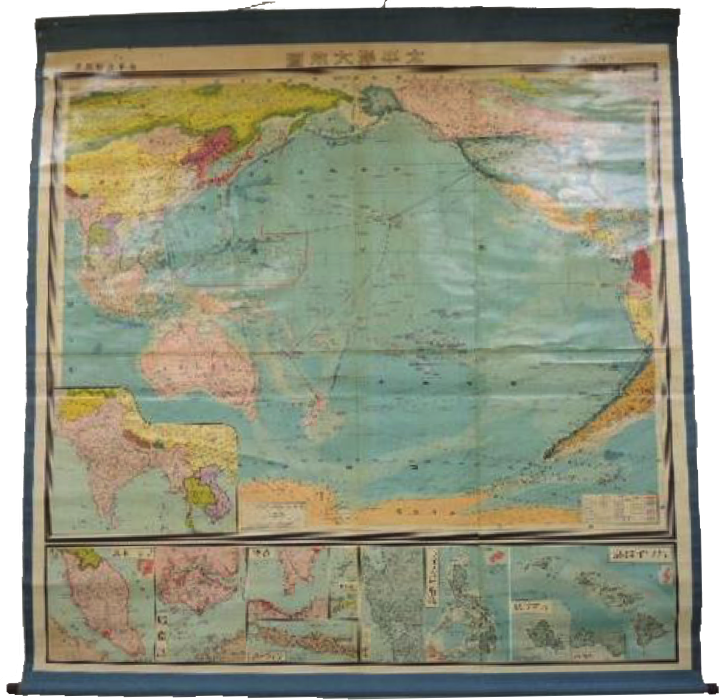 1941 large Pacific Ocean map published for the Kizaki Ryuo national policy implementation Study Group. Issued Sep. 08, 1941 - 3 months before the Pearl Harbor Attack. 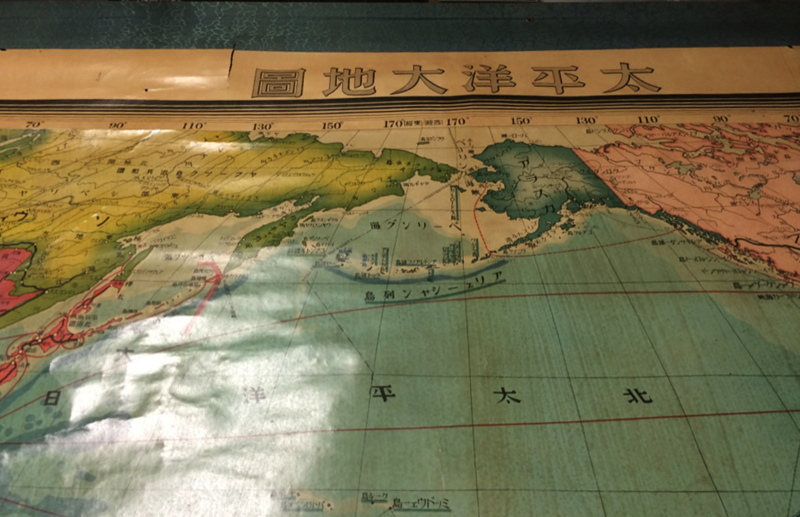 Map is attached on 60" x 61" scroll. Condition is good with some slight tears . 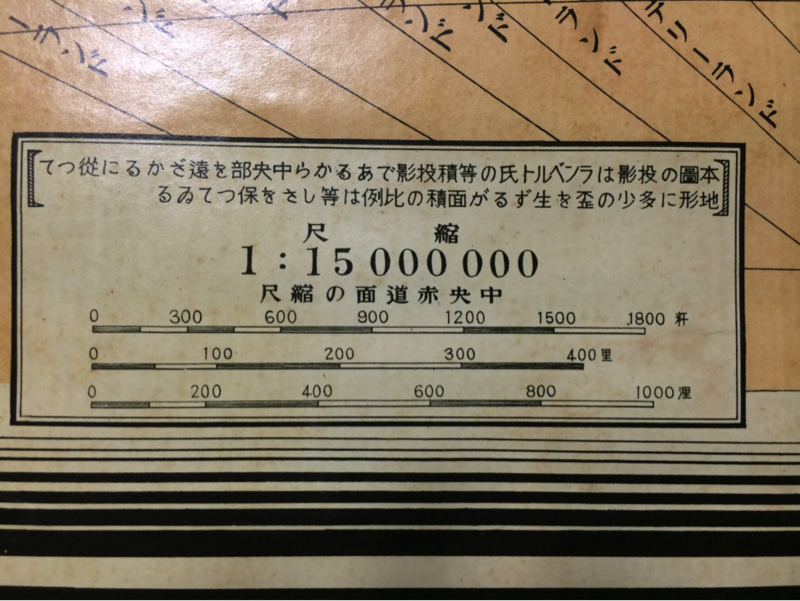 Map is rare due to size and significant publish date.